Flo is the 2012 Steiff Event Club Bear and is made of silk plush and loosely jointed for a vintage look. Meet Flo, the Steiff Club 2012 Event Bear. She is sure to win your heart with her vintage look. Steiff used an artificial cinnamon-colored silk plush for her fur, and made her loosely jointed and the legs and neck (remember, she's a bear so she has 4 legs). Flo measures 8 inches tall and will only be made in 2012. She is only available from those Certified Steiff Retailers who host a Steiff Event. 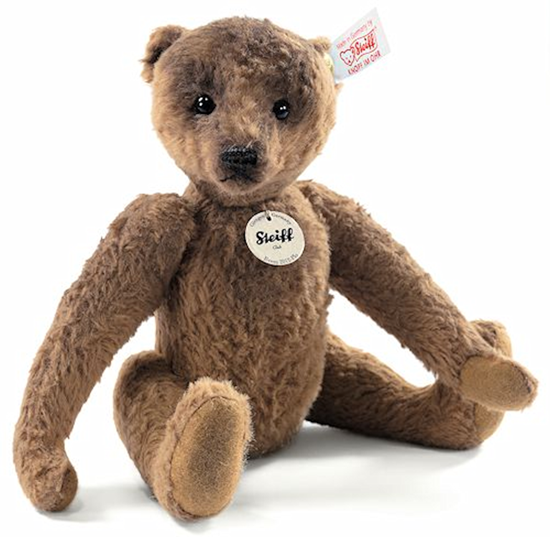 As is true with all Steiff products, she was made in Germany.